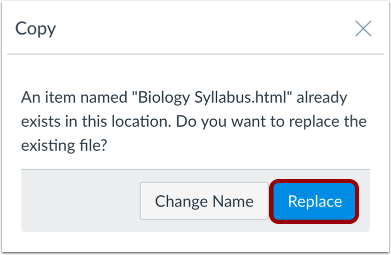 To edit an HTML file in your course, you will need to download your previously uploaded HTML file to your computer, edit and save your HTML file, and then upload your HTML file again. Click the line item for the file . Click the Download icon . Or click the Options icon  and then click the Download link . Your file will download to your desktop. 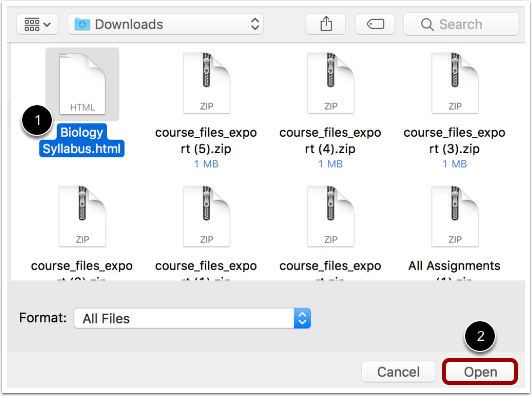 Open the appropriate folder to view the file. Note: The file may be saved to the Downloads folder on your computer. After you open the HTML file, edit the file using a text or HTML editor on your computer. Save the file. In Files, click the Upload button. 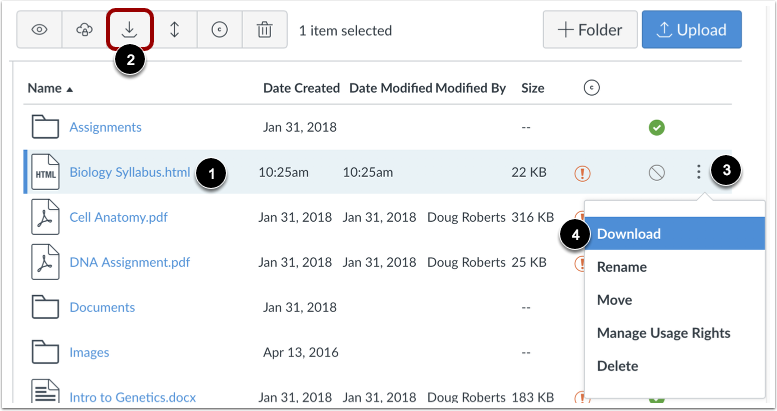 To replace the existing file with the edited file, click the Replace button. Click the name of the file and preview the HTML file. 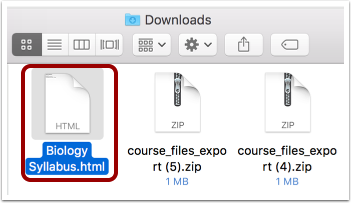 Previous Topic:How do I set usage rights and user access for a course file folder? 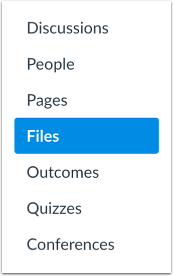 Next Topic:What types of files can be previewed in Canvas? Table of Contents > Files > How do I edit an HTML file in a course?